I have been using and trust the Western Digital brand of hard disk for the past 8 years. Recently I decided to upgrade my PC from WD Green (have been using for almost 5 years) to WD Black. 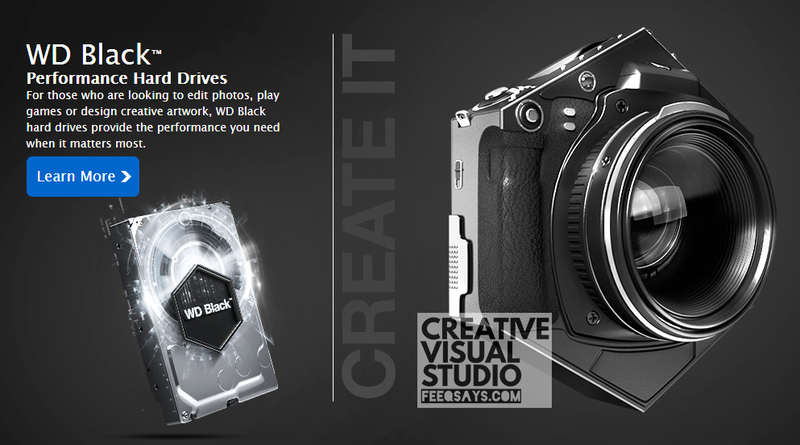 Every drive has a purpose and since I need high performance hard drive for my production work such as photo editing and video editing, I choose WD Black since it is a Performance Hard Drives. For those who are looking to edit photos, play games or design creative artwork, WD Black hard drives provides the performance you need when it matters most. Another reason why I go for WD Black because I trust with the Western Digital product and trust me, it’s really important to make sure my data and footage are safe. The Core. Basic is always important. When we decided to go for 4K video production, we believe we need to prepare our self. Not only from the skills, but also from the hardware. Looking good #4tbWDblack . Next will be the motherboard. It’s good to build my own PC from the scratch. Since I’m looking at a bigger picture, 4TB WD Black is just enough for me to be the main hard drive on my PC since I’m looking forward to go for WD Red (NAS Hard Drives). Whether you’re a photographer, video editor, digital artist, or want to build your own system, look no further than WD Black drives as your go-to solution. WD Black drives deliver an inspiring performance for storing large multimedia files of photos, videos and applications. Increased Cache Sizes: Achieve faster read-rate performance and high-speed transfer speeds with 128 MB of cache on 5 TB and 6 TB models. WD’s Dynamic Cache Technology improves performance in real time to allocate and optimize cache between reads and writes.